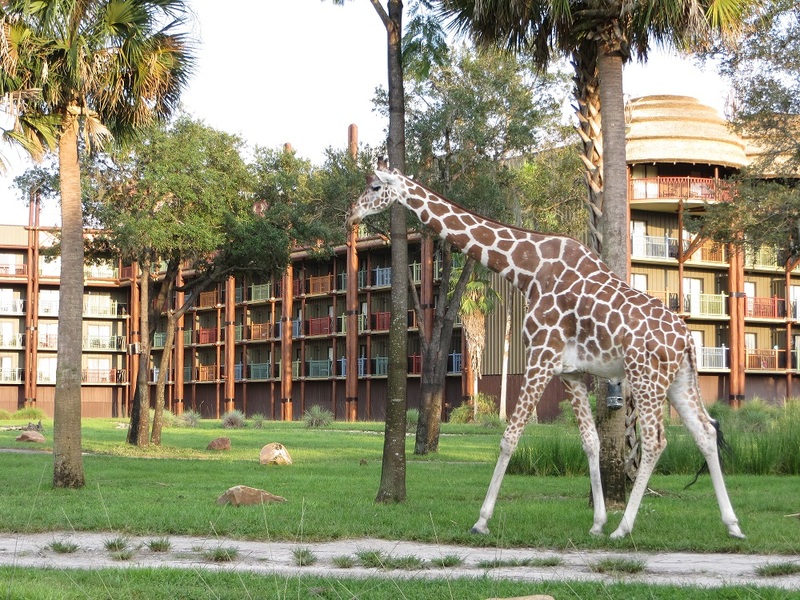 Please check out my guest blog about our stay at Disney’s Animal Kingdom Lodge on David’s Vacation Club Rentals Blog. There are some photos of the resort as well as some information about activities and amenities that you can enjoy during your stay. The Disney Vacation Club is a timeshare that allows owners to stay in Deluxe category accommodations at Disney resorts. Owners purchase points to vacation in various sized suites within Vacation Club resort locations. Sometimes Vacation Club owners do not use their allotted yearly points and rent them out to other guests. Renting Disney Vacation Club points from an owner can save you a significant amount of money on your Walt Disney World vacation depending on the time of year and the type of room that you select for your trip. You have a greater chance of renting the villa of your choice, the sooner you book your stay. We decided to rent points for our upcoming trip, so I wanted to share some tips and information with you about the process. The safest and most convenient way to purchase points is through a broker that specifically handles these types of transactions. They have knowledge of the process and most communicate through email so your transaction is documented. There are several organizations that broker Disney Vacation Club points and act as a mediator between owners and renters. For our transaction we used David’s Vacation Club Rentals. Other Better Business Bureau accredited rental organizations also offer point purchases and can be located with a Google search for a comparison. My advice would be to stay away from Craigslist. There are horror stories of guests booking with someone they thought was a Disney Vacation Club owner, only to be scammed out of their vacation budget. Stick with legitimate businesses that have excellent online reviews, rather than attempting a risky transaction with someone you don’t know. You rent points on a scale depending on the length of stay, villa size, resort requested and date. Traveling on holidays and during peak periods means a higher point purchase. The villas available through the Disney Vacation Club consist of studios, 1 and 2 bedroom suites, Grand Villas and the TreeHouse Villas at Disney’s Saratoga Springs. Some resorts also have preferred rooms at a higher cost offering scenic views of the water, Magic Kingdom or even the savannah at Disney’s Animal Kingdom Lodge. Using a point calculator on a broker’s website is the best way to determine how many points you will need for your stay. David’s Vacation Club Rentals’ calculator can be found here and allows you to put in your requested dates and compare points needed per resort and villa size. For an example, if you want to stay at the Animal Kingdom Lodge from March 10th- March 15th. Select your dates and then decide if you wish to stay in a studio, 1 bedroom or 2 bedroom suite. Then determine if you want a value room (no view), standard view, savannah view, or club level (concierge floor). Get the points required and multiply them by $14 for the total cost of your trip. Once you have your quote and the amount of points needed for your stay, complete the reservation form with the dates and your preferred Disney Vacation Club resort. The form lets you choose up to 4 resorts in case your preferred resort is unavailable. Once your form is complete, a partial payment of $98 is required to secure your reservation. If David’s Vacation Club Rentals is unable to secure your requested rental, the $98 is returned to you; however if a rental is found, the deposit is applied to your rental total and the balance in full is due immediately. Important: David’s Vacation Club Rentals is based out of Canada. Check with your credit card company to determine if they charge a fee for transactions that occur outside of the US prior to entering your deposit. If there is a fee, you will want to add this figure into your vacation budget. You will receive a standard rental agreement contract that specifies your dates, guest information, the resort details and your confirmation number. This number will allow you to log in to Disney’s online check-in system to view the details of your trip. 60 days prior to your vacation, you can pre-check in, add any special requests (like hypoallergenic pillows) and disclose if you are celebrating a special event during your stay. Your Disney Dining Plan and park tickets can also be purchased through David’s Vacation Club Rentals..
We saved a significant amount of money on our upcoming vacation by renting points. If we had booked the trip through Disney, we would have paid over $1,000 more for the same studio villa. Renting a villa also allows guests to use Disney Transportation (including the Magical Express shuttle to and from Orlando International Airport) and renters enjoy the same amenities that all Disney resort guests enjoy; with the exception of daily housekeeping. When renting you must book in advance and plan ahead. It is recommended for example, that you rent the Animal Kingdom Lodge 11 months prior to your trip in order to ensure enough time to secure points. The recommended rental timeframes from David’s Vacation Club Rentals can be found here. Renting in advance means that you also pay for your trip long before your vacation begins. Disney Vacation Club does not offer daily housekeeping. If you are staying longer than 4 days, a towel/trash service occurs on the 4th day. For stays of 8 days or more, a full cleaning happens on the 4th day and a towel/trash service is offered on day 8. You can request daily or additional housekeeping services for a fee. Renting Disney Vacation Club points is a great alternative to staying in a standard hotel room. 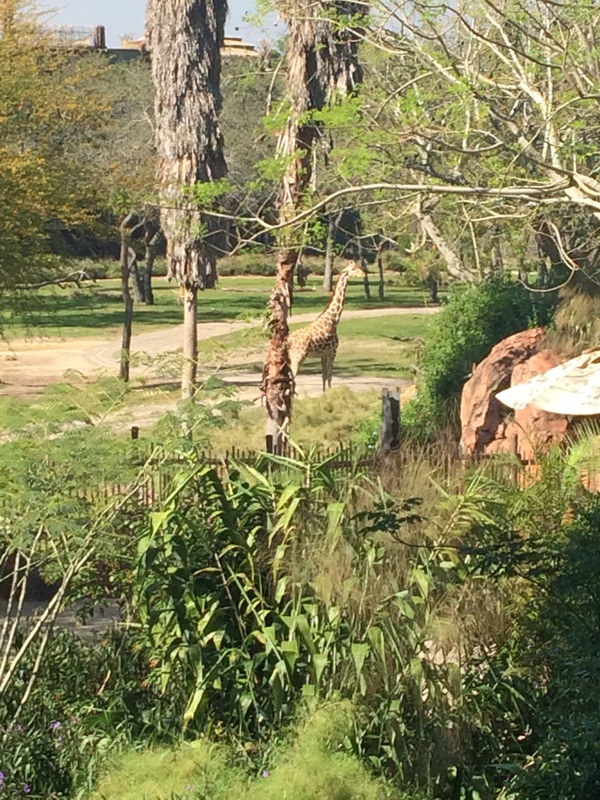 Our experience thus far has been a very pleasant and easy one…I will be sure to update you with a review of Disney’s Animal Kingdom Villas once we stay there in the Spring. If you have any questions for me, please ask them in the comments. I would be happy to help!